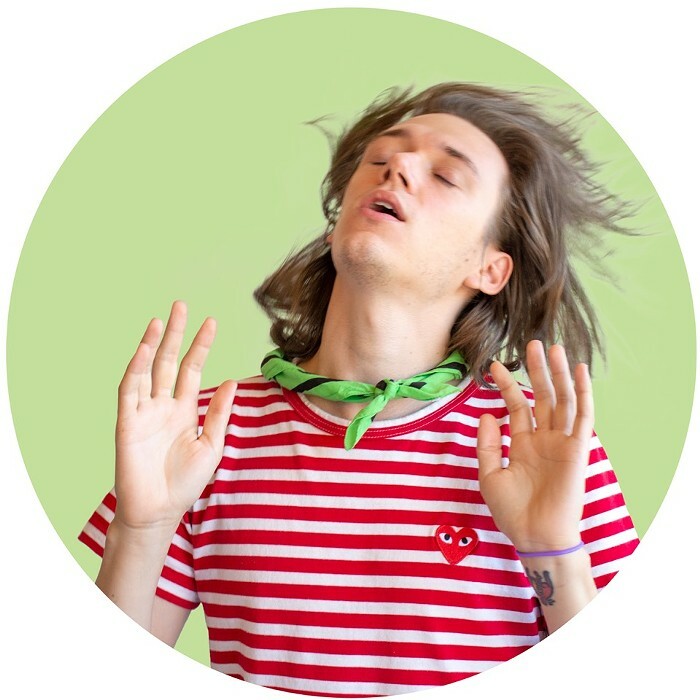 This was his submission photo. On meeting Captain, we were surprised by his dignity, grace, and additional loss of an eye. We asked Captain's mom, Elin, to tell us a bit about him. What attracted you to Captain? Captain’s mom: It was love at first sight. Xandre (his dad) saw him in the back corner of an adoption event put on by Friends of the Animals Foundation (FAF) at Mud Bay in Queen Anne. (By the way, if you are ever thinking of adopting a cat, please consider going through FAF. They are absolutely some of the most incredible people around.) Captain looked pretty sad and disheveled from a distance but the minute Xandre walked up it was clear just how sweet of a cat he really was. Also, I had a childhood dog that was blind that had passed just a couple years before, so getting an older blind cat felt right. As anyone who has met Captain in person can attest, he is just the warmest and most affectionate cat around and it’s impossible not to immediately fall in love with the little furball. One of our friends is convinced he is a luck dragon. When we voted on Captain he had one eye, now he has none. What happened! He was blind from the beginning and we knew from early on that he would have his remaining eye removed when it became too painful. We took the picture of Captain that we submitted to The Stranger a few days before his enucleation. It’s healing beautifully! 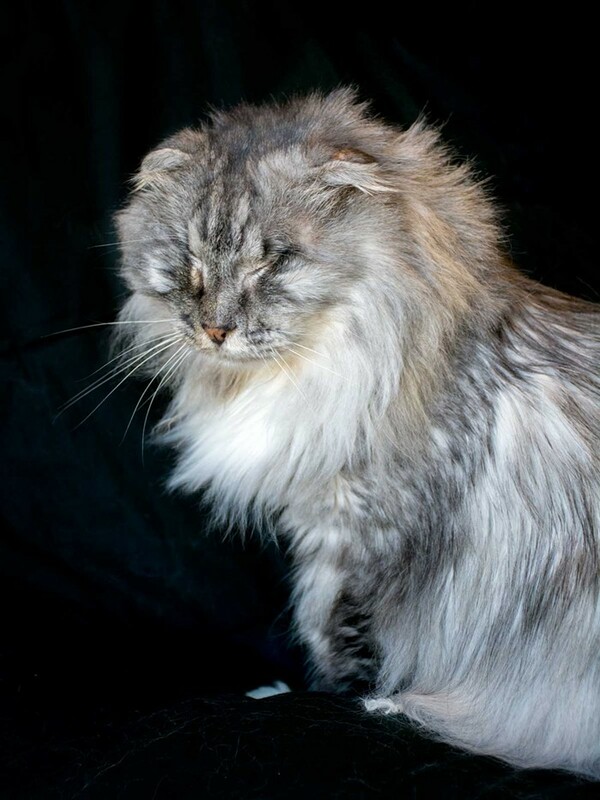 Unfortunately, the vet had to cut most of his whiskers when they shaved around the eye, which was difficult for a blind cat. Luckily, they’re growing back now! How do you stimulate/play with a fully-blind cat? It can be tough. To our knowledge, there just aren’t many toys made for blind cats. Most rely on some amount of sight. What we’ve learned over the last year and half is to use his sense of touch and hearing to keep him active. We have some soft feather toys that we’ll drag over his feet and make noise with on the floor to get his attention. He’s also very food motivated so we use that to our advantage whenever possible. What's the greatest lesson you've learned from Captain? Captain, as far as we can tell, doesn’t dwell on the fact that he can’t see. Instead he shows us extraordinary affection and trust, especially as a feral rescue. He takes each day as it comes and makes the most out of it. We can all be served by making the most out of our current situation and approaching each other with kindness. Our 2nd annual Ugly Pet Contest is presented by Jet City Animal Clinic, and sponsored in part by Urban Animal. 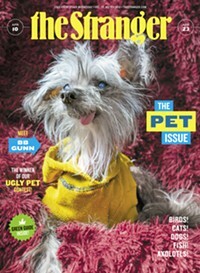 The Stranger's Pet Issue comes out tomorrow, Wednesday, 4/10, and will feature our #UglyPetContest winner on the cover.